Leading manufacturer of commercial and military aircraft Boeing has announced it is expanding its defence presence in South Australia and will create 250 highly skilled technology jobs as part of a five-year plan to set up a new hub in Adelaide’s CBD. South Australian Premier Jay Weatherill and Boeing Defence Australia managing director Darren Edwards signed an agreement in Adelaide on Thursday, with the company's new Currie Street office scheduled to be officially opened by Minister for Defence Industry Christopher Pyne next week. The agreement was secured through the state's investment attraction agency and Defence SA. Some of the 250 roles the plan will create include software engineers, researchers and project managers, and it is hoped that Boeing's arrival in Adelaide will create more jobs in the broader defence sector and other high-tech industries. Edwards said the new office will encompass research, development and innovation programs spanning command, control, communications, intelligence, surveillance, reconnaissance and advanced experimentation and prototyping. "Boeing Defence Australia is committed to building local capability in South Australia. One way we are doing this is by investing $500,000 over five years in the Techstars Adelaide global accelerator program to support South Australia’s entrepreneurial start-ups," Edwards said. "We also know that partnerships with higher education institutions are critical for preparing today’s students with tomorrow’s skills for defence industry capability and advancing innovation. To that end, this year we have invested $7,000 with the 2017 Defence Honours Scholarship Program and look forward to expanding our education partnerships with South Australian universities. "We greatly appreciate the partnership with South Australia that made this office opening a reality." 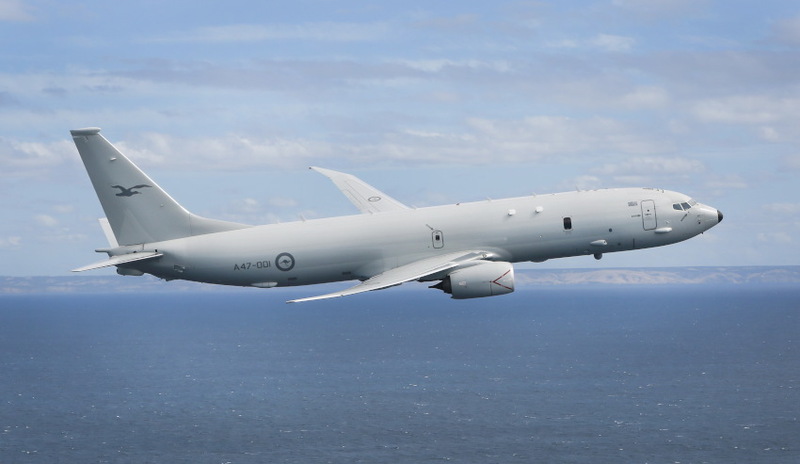 Boeing Defence Australia’s growth in SA builds on support programs currently operating in the state including for the E-7A Wedgetail, P-8A Poseidon and Collins Class submarine. Boeing’s operations in Australia are its largest outside of the US. It employs more than 3,000 people nationally at over 14 locations, the majority based in Queensland. Weatherill said Boeing Defence Australia's commitment is an exciting part of SA's future. "South Australia will become a strategic hub for Boeing Defence Australia, creating around 250 new highly skilled technical and advanced research positions," he said. "These skilled roles will offer significant sustainable employment opportunities to young South Australian graduates, with the added benefit of creating jobs with defence contractors and significant numbers of indirect jobs." The announcement in a big win for SA's defence sector with the state's 2025 Defence Strategy seeking to make SA "a national hub for airborne maritime surveillance and weapons system test and evaluation". "Boeing’s expansion in SA will create opportunities for highly-skilled workers in the defence and research sector, with flow on effects to the supply chain and broader economy," Weatherill said. "It also signals the increasing aerospace presence in SA. "As we transition towards our high-tech advanced manufacturing future these are the types of high-calibre opportunities that will attract and encourage our young graduates and students to work in SA."